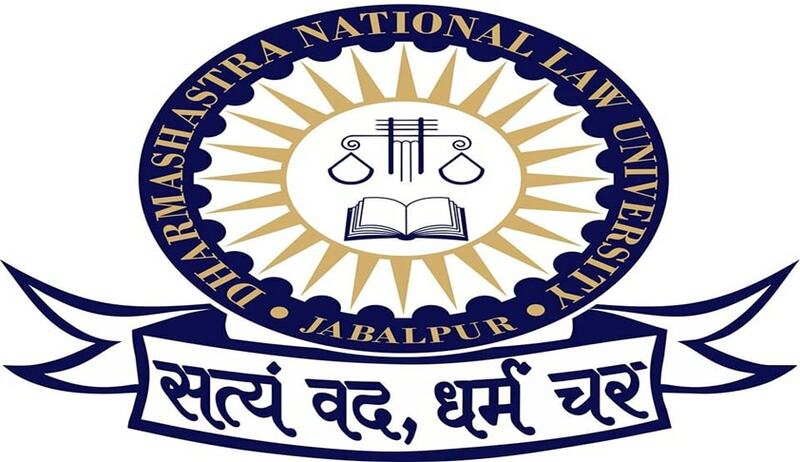 The Dharmashastra National Law University, Jabalpur, has invited applications for admission to LLM (2 Years) Degree Programme for the Academic Year 2018-2019 scheduled to commence from November 2018. 10+2 years of schooling from a recognized Board/Institute and5 years integrated BA LLB (Hons. )/BSc LLB (Hons. )/B Com LLB (Hons. )/BBA LLB (Hons.) degree from any University recognized by the UGC with not less than 60% marks in aggregate (55% in case of SC/ST Candidates). 10+ 2 from a recognized Board/ Institute and 3-year Bachelor’s degree from any University recognized by the UGC and 3-year LLB degree from any University recognized by the UGC with not less than60% marks in aggregate (55% in case of SC/ST Candidates). Admission: A merit list of eligible applicants will be prepared on the basis of the percentage of marks obtained in the Law Degree. Shortlisted candidate will be intimated to appear for an interview at the University. The interview will be held for twenty marks.